On the final day of our work in Ukraine our team had the opportunity to meet with staff of the Carpathian Biosphere Reserve in Ukraine. It was created as a Zapovednink which is a strictly protected wilderness area. It was created to protect this specific ecosystem of the Carpathians as part of a wider network of protected ecosystems throughout the former Soviet Union. It became a UNESCO Biosphere Reserve in 1992 and it consists of a total area of 57,880 hectares of which a signficant part of the reserve is of wilderness quality. 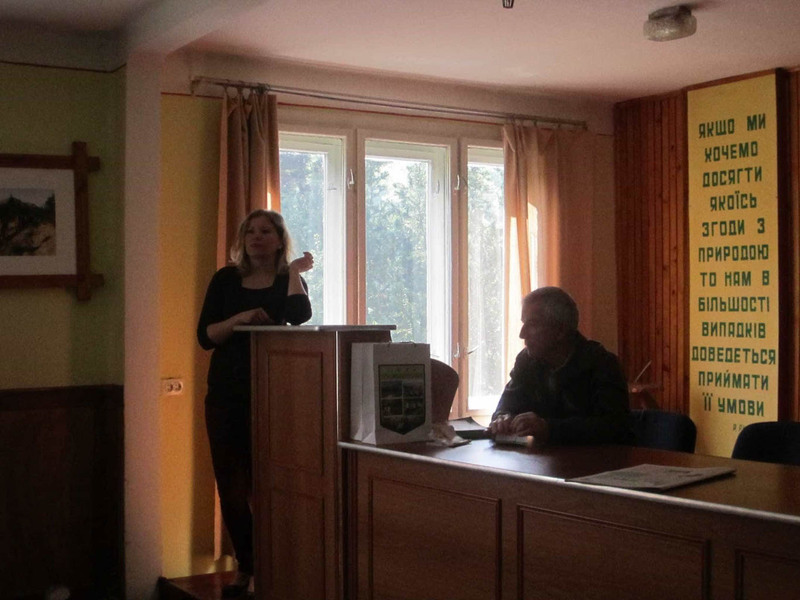 At the meeting, our team had the opportunity to present the European Wilderness Quality Standard and the assessment activities that we have done the previous week in Zacharovanyy Kray National Park. The Standard was positively received and we plan to continue discussions for future cooperation. Although, we were not able to explore the Biosphere Reserve, we did have the opportunity to visit Narcissi (Daffodil) Valley which part one small part of the Reserve. It was included as part of the Reserve because it is the last fragment of this type of habitat at the edge of the Carpathians because all other examples of this type of habitat were destroyed by agricultural activities in the past. However, at this moment, only 30% of the flowers were blooming. Sadly, our team had to say goodbye Vasil Mochen, Deputy Director of Zacharovanyy Kray and our host for the last 10 days. We understand how much extra time and effort that was required for our assessment and other activities. We are grateful for all that he and his team has done for us while we have been in Ukraine. We will see you soon!